Regularly scheduled companywide and client-based meetings are an important aspect of running your business as they guarantee that everyone you do business with is always kept in the loop with big changes that are being implemented within your company. In fact, meetings have always played an instrumental role in running a successful and up-to-date business. Innovative and fresh ideas are cultivated while the creative juices are allowed to flow freely. Deals are closed and participants are made to feel like they’re a part of something much bigger than themselves. 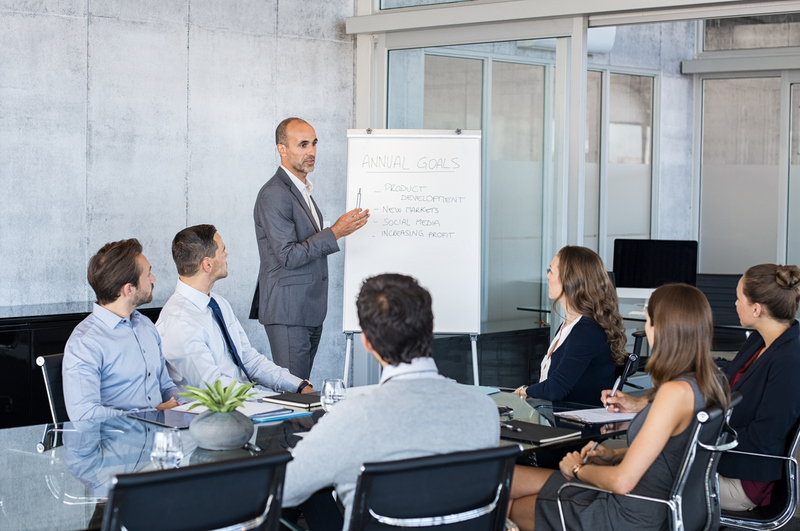 Meetings help to ensure that all lower and upper level employees are always on the same wavelength and they provide opportunities for everyone involved to air their grievances, ask questions, think critically, and work together as a team to solve business-related problems. For businesses that don’t have a permanent location, renting meeting rooms in Ottawa is a great option. Whether you’re an entrepreneur, a freelance worker, a small business owner, or the CEO of a startup company, you may be struggling to find an affordable and convenient permanent office location that meets all of the requirements of your business. This is especially difficult if you spend the majority of your time travelling for work. The simple solution for yourself, your employees, and your clients is to rent meeting rooms in Ottawa whenever you have to discuss important matters or make face-to-face presentations. Even if you do happen to have a permanent office location that you’re leasing, it might be more convenient to hold meetings in central locations that are easily accessible for everyone via various modes of transportation. Onsite Ottawa meeting rooms offer a wealth of advantages that your employees and clients will appreciate. Keep reading to learn the difference between renting onsite and offsite meeting spaces. Onsite meeting rooms demonstrate to your clients and employees that you’ve establishing a successful empire that they’ll be excited to join in on. They also offer a host of enticing benefits such as close proximity to public transportation, desirable amenities, a kitchenette, access to an administrative staff, and Wi-Fi connections. Onsite meeting spaces in Ottawa are also fully furnished with high-quality, comfortable tables, and chairs. While offsite meeting spaces are great for the few times when you need a change of scenery, the problem is that they’re often in loud and intrusive public places. Restaurants, cafes, or even an outdoor space on a nice summer day are all less than ideal locations to hold important business meetings. They might help you save a little bit of money, but sooner or later the interruptions from the background noises, not to mention the opportunity for your competitors to eavesdrop on your conversations, will weigh you and your business down. To begin with, Ottawa is a multicultural and professional hub where a lot of business headquarters are located. The city is vibrant with historical sites and amenities that your clients will appreciate and there’s a wide variety of transportation options all around. Ottawa is a culturally rich city that has a lot of excellent sites and accommodations to offer, whether your employees and clients are staying short or long-term. Why Rent a Meeting Room from Innovative Professional Offices in Ottawa? We offer access to a wide array of technology options to enhance your meeting experience. Our onsite staff can help you with everything from connecting to Wi-Fi to arranging for equipment rental. Our administrative staff is here to help. Our goal is to help you run your meetings as smoothly as possible. Ask us—we’ll help! Whether you’re holding a standard meeting; doing a presentation; celebrating a work anniversary, promotion, or other milestone; doing interviews; or even if you simply need a quiet and private place to conduct your business, Innovative Professional Offices has the ideal space for you. With a wide range of meeting room sizes and layouts, our premises have the capacity to hold all kinds of work-related events. Since there’s no fixed-term contract, you have the option of renting one or more of our Ottawa meeting rooms on an hourly, daily, or weekly basis depending on your needs. Innovative Professional Offices is one of the leading office space providers in all of Canada. Our stylishly decorated and fully furnished state-of-the-art offices provide a comfortable and professional working space for all of our clients along with access to a fully trained administrative staff and tech support at your disposal. To learn more about our facilities or to book a meeting space, please contact us. Posted in Read Our Blogs - Innovative Professional Offices.